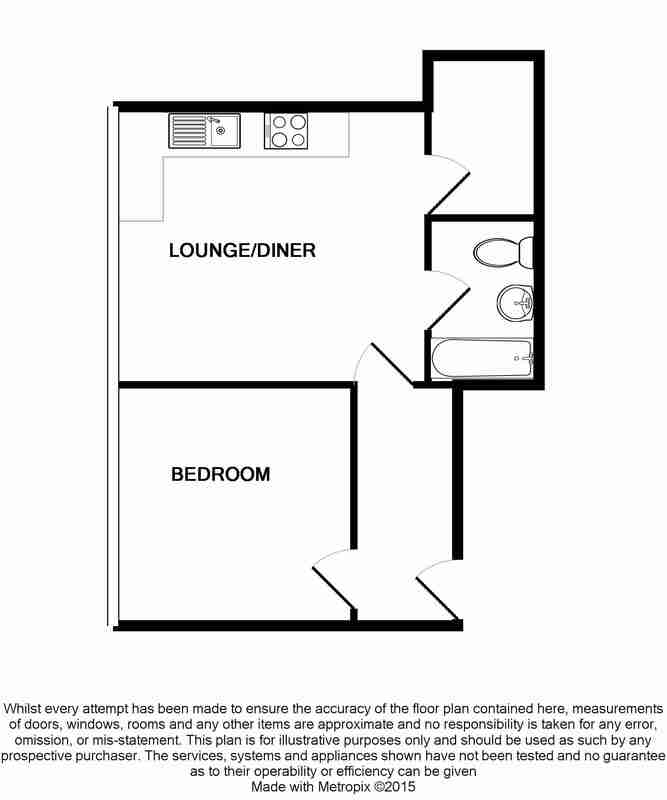 Send details of Trident Apartments, Sale, Greater Manchester to a friend by completing the information below. 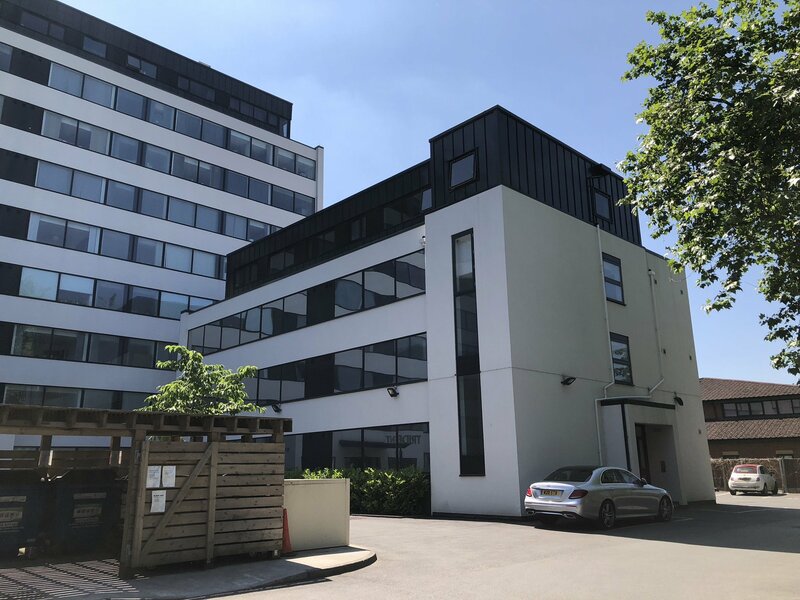 TRIDENT APARTMENTS provides a fabulous opportunity to reside in a contemporary city living styled, chic apartment located in the heart of Sale town centre, one of Greater Manchester’s most sought after southern suburbs. 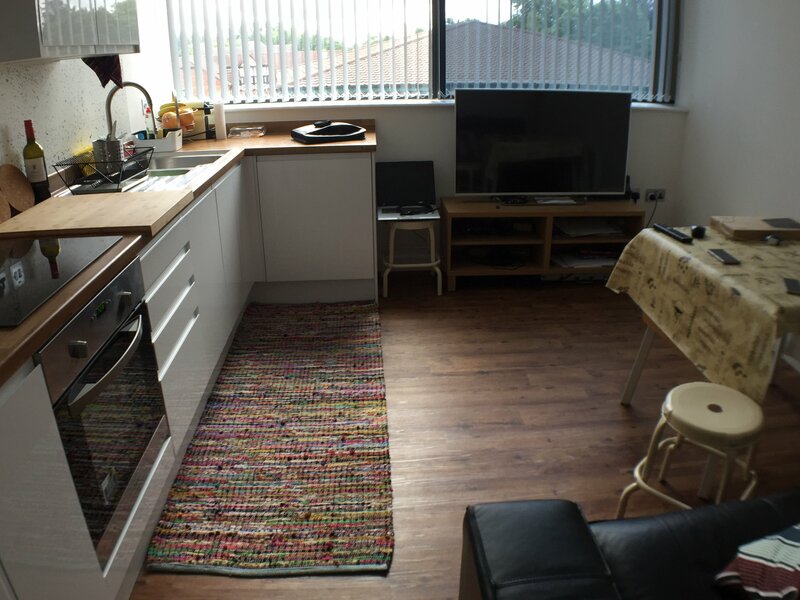 This superb one double bedroom apartment is located on the first floor and is provided with a contemporary fitted kitchen with a range of integrated appliances and a modern appointed bathroom. 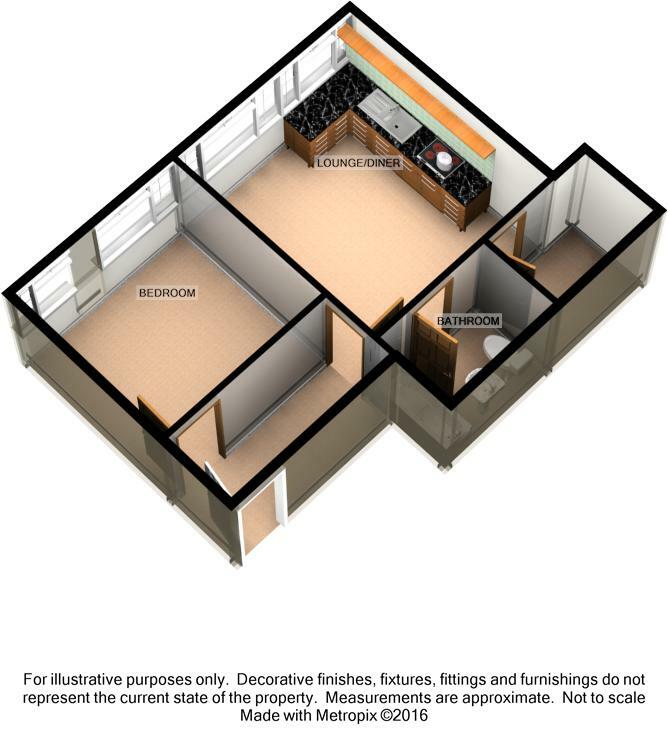 This property also benefits from a walk-in store room / cupboard. 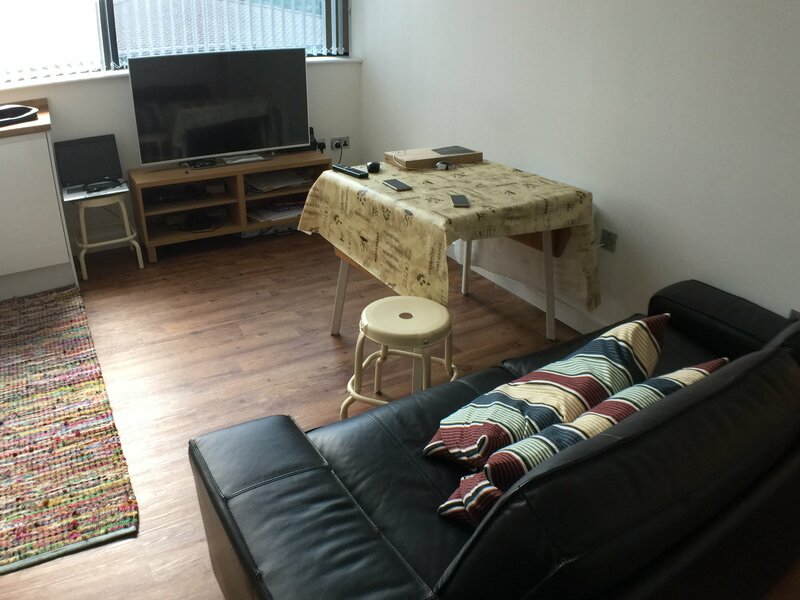 The accommodation briefly comprises; communal entrance area with entry access control; open plan lounge / diner / kitchen with contemporary fitted units including integrated oven, hob & extractor units, integrated dishwasher, washer drier and fridge freezer. 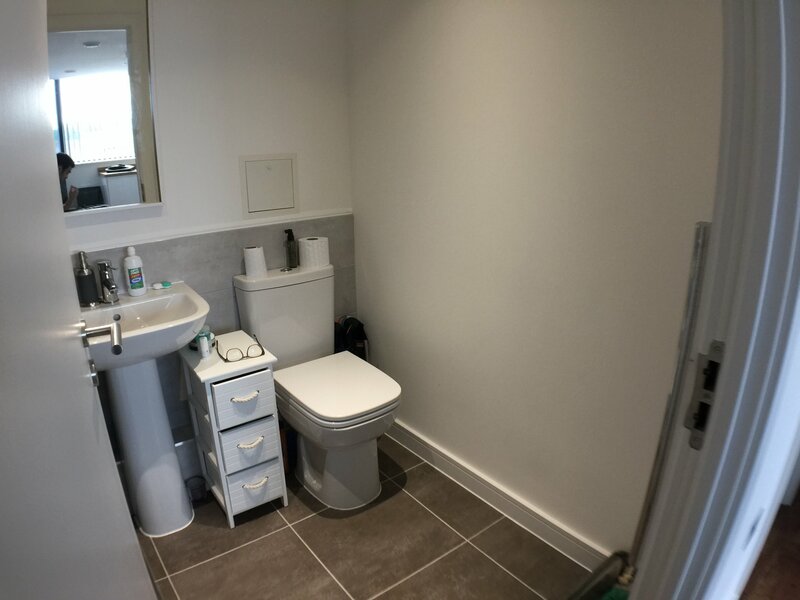 One double bedroom; One walk-in store room / cupboard; bathroom / WC. An allocated car parking space is provided. The property also benefits from electric heating, a mechanical air-flow ventilation system and floor coverings throughout. Entrance door; access to the lounge and bedroom. 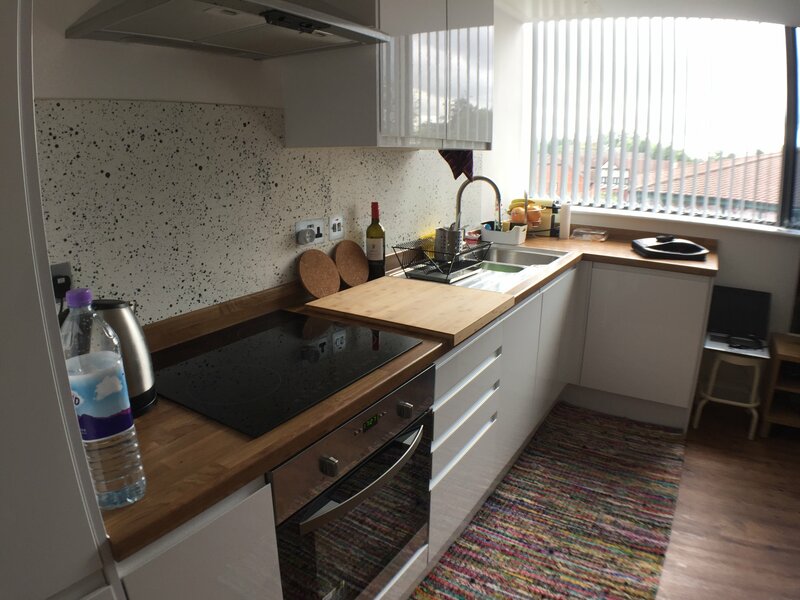 Picture window ; electric heating; carpet / floor tiling; fitted contemporary kitchen units; laminate work tops; stainless steel sink unit; stainless electric oven and hob with extractor fan over; integrated dishwasher; washer / dryer and fridge freezer. Open access to walk-in store. Modern white bathroom suite comprising panel bath with shower fitments and screen over; wash hand basin; low level WC. Ceramic wall and floor tiling; chrome heated towel rail. Wide picture window; carpet; electric heating. Landscape entrance forecourt; allocated car parking space. Located in the heart of Sale town centre, on Ashton Lane just ‘one-block’ from the main A56 Washway Road, means this development is only a short convenient walk to the town’s main shopping district, major supermarkets and numerous bars, café bars and restaurants. The close proximity of Manchester city centre avails residence to a multi-cultural hub with a wealth of internally acclaimed theatres, museums, art galleries, cocktails bars, nightclubs alongside major high street shops, eminent designer shops and fabulous boutiques. Sale is also surrounded by a number other local attractions and amenities including; the Trafford Centre. 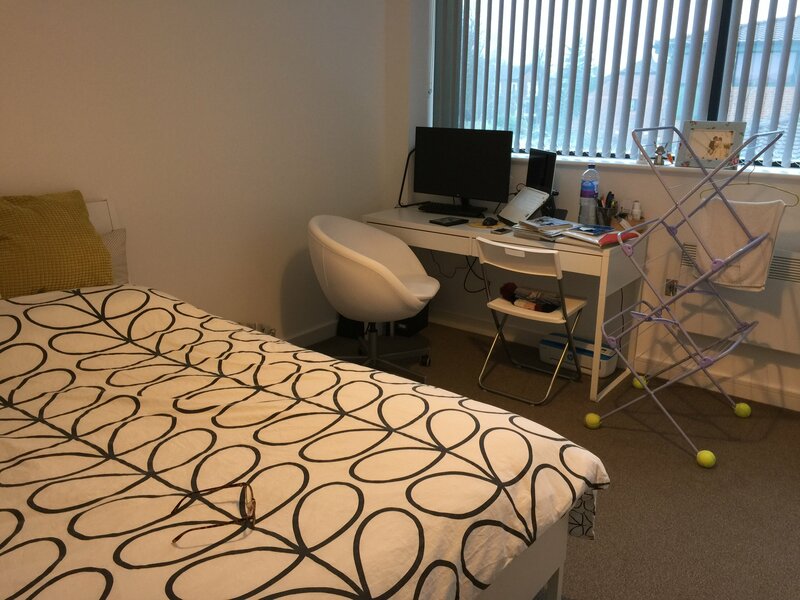 Trident Apartments is located just a short distance from the southern point of the M60 orbital motorway providing easy access to the regions motorway network. Manchester International Airport is approximately 4 miles away. Sale is also well served by the Metrolink, providing frequent services to and from Manchester and Altrincham.